Own a piece of history. 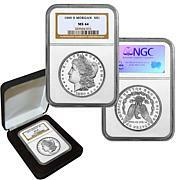 This 90% silver coin is more than just a large, precious coin. It depicts Lady Liberty, considered by many to be the most beautiful design to ever appear on a coin. The coin was minted in Carson City. 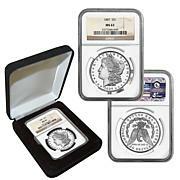 Though Morgan silver dollars were minted elsewhere annually until 1904, the Carson City Mint was operable from 1878 to 1893. 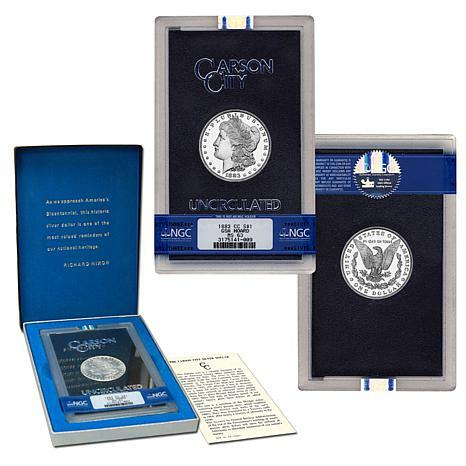 This impressive coin is delivered in its original government packaging and ready for storing or giving to a deserving soul. The coin was a gift for my husband and he was very impressed with the coin,the best purchase I have made in awhile! I bought this for my husband, and he was very excited to receive it. Said it was well worth the price.